And the winner is…Awards, awards and more awards! We all need a break now and then. I just got back from an amazing week in Chicago…total rest and relaxation provided by my son and daughter-in-law. Many bloggers I know are stepping back a little from their posting schedule…renewing and refreshing themselves with family time and/or vacations near and far. I, too, have been less active with the business of blogging…but today I wanted to catch up on several awards that have been passed along to me over the last few months. 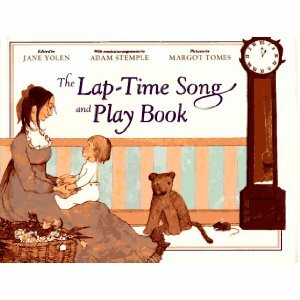 I also want to announce the winner of the Lap-Time Song and Play Book by Jane Yolen that I am giving away in honor of my 300th blog post. The “Mrs. 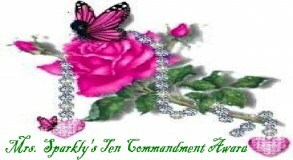 Sparkly’s Ten Commandments Award” has to do with a woman of the same name, known for being very elegant and having high expectations, and who is committed to maintaining integrity, good manners and behavior, as well as a rich sense of humor. Future Flying Saucers is a homeschooling SAHM now…but she had a career in education before…her story is inspiring…I hope you will pay her a visit. I’m honored with this award…not sure about the elegant part…but I do have high expectations and I am definitely committed to maintaining integrity, good manners and behavior…and I can laugh at myself and try to see the lighter, humorous side of life, especially when things aren’t going well. 2. Dawn at Tales of the Motherhood for the Good Apple Award. Dawn has an amazing blog…her home is a veritable United Nations…take a look-see…I know you will enjoy it. As with most blogging awards, there are all kinds of rules…answer a bunch of questions and then nominate others and provide them with questions they need to answer…but it’s summer…and I don’t want to give anyone more work and stress. 3. Milka at Perfecting Motherhood for the ABC Award. If you love reading and think it is an important activity for children, please stop over at Perfecting Motherhood! Milka is an amazing mother who encourages reading by reading to her children every day, by having books available all the time (her children probably think the library is just an extension of their home because they are there so often) and by being seen reading (she is always recommending books that she has read). The requirement of the ABC Award (Awesome Blog Content) is to describe yourself using every letter of the alphabet…I seriously doubt anyone wants to know that much about me, but in my post on Sunday, I will recommend twenty-six picture books (from A to Z) for great summer reading. 4. Marcy at Orples for the Very Inspiring Blogger Award. 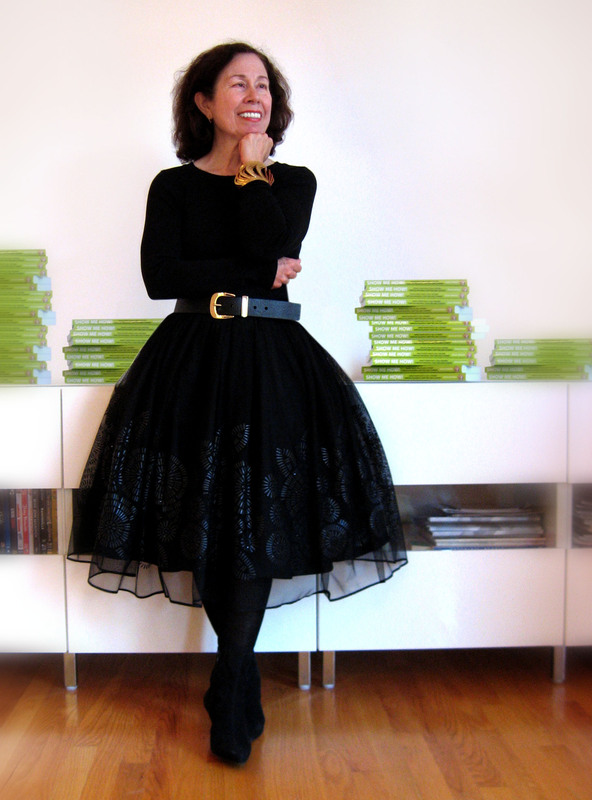 Marcy is a talented children’s picture book author and illustrator. Her Orples picture book series is charming and each book presents a lesson to be learned. Please pay a call to her website and check out her lovely books. I hope I can live up to this award…perhaps my passion for reading picture books with children will inspire other parents…and my love of writing picture books will encourage others who dream of publishing their work. One of the rules of all of these awards is to nominate others to receive them. There are dozens and dozens of bloggers whose posts I love reading who deserve all of these awards. Many of them probably have some of them already. 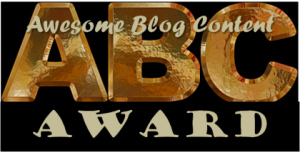 Because it is summer…and I don’t want to put pressure on anyone…I’m going to list a baker’s dozen (13) of blogs that I encourage everyone to visit…and pass along the honor of all four awards to them…but I hope none of the thirteen will feel compelled to post about it now. This list of bloggers is an international one…enjoy! Thank you for your patience. You all definitely deserve something sweet and good to eat. Yes, I’m sure Jeremy will share some of his ice-cream cone with you as well! Hannah Holt at Lightbulb Books…Congratulations!!!! I’ll be posting the Summer Reading List from A to Z on Sunday…hope you’ll all come back to check it out. This entry was posted in awards, Blogging, book giveaway and tagged Children's literature, Jane Yolen, Picture book by viviankirkfield. Bookmark the permalink. Thank you, Vivian, and welcome back from R&R in Chicago. 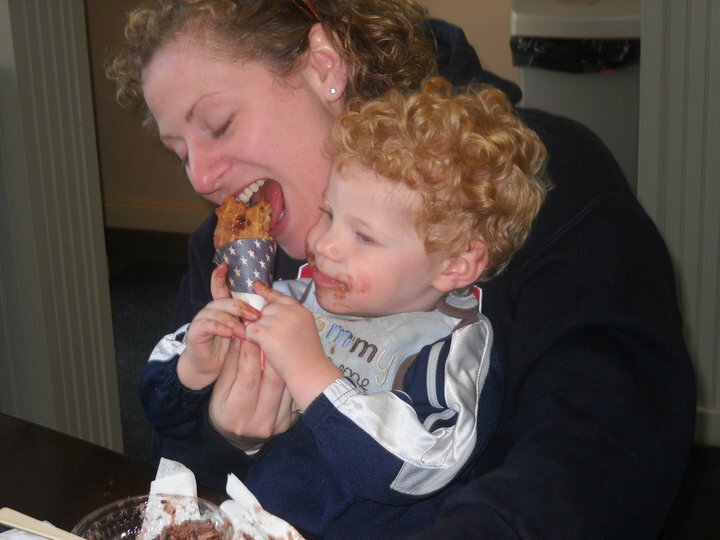 No one deserves a break more–or shared licks of delicious ice cream–made all the sweeter by being shared! I wanted to stop by to thank you for the amazing and resourceful information you delivered on Susanna Hill’s post on self-publishing. I left a comment hanking for sharing your journey with us. There are a lot of us that truly appreciate it. Great information. You are welcome, Susanna! I know you’ve received several of them already…and I certainly didn’t want to add to your already full plate by requiring you do ask or answer questions. 🙂 But it was important for me to honor you…as a writer, blogger and awesome resource for parents, teachers and children! Welcome back from Chicago, Vivian and from a break from the interanet. I came back to read my inbox and saw that I had won a reward. Thanks so much. I am so honored. It will be sweet duty to open my blog post after being away to announce these rules and to bequeath them to others. Thanks also for sharing Jeremy’s ice cream. lol. Chicago was amazing..not so much Chicago, but staying with my son and daughter-in-law. 🙂 Please enjoy your break from blogging…and I will look forward to your posts in September! Happy summer, Clar! Thank you, Vivian! My children and I will enjoy the Lap Time Song and Play Book. My eighteen month old twins are at the perfect age for it! I’m glad you enjoyed a nice break. Congrats on the slew of awards, and I hope you have a fantastic rest of your summer. Thanks for the mention and link to my blog. My pleasure, Kathy…wish I had the time to visit more often. 🙂 Your blog is a wonderful resource! Vivian, I am glad to see that France is fifth in the ratings of blog visitors here (we are a steady 2nd on Susanna’s blog!). Your blog always makes me wish I were a child again, I love it. 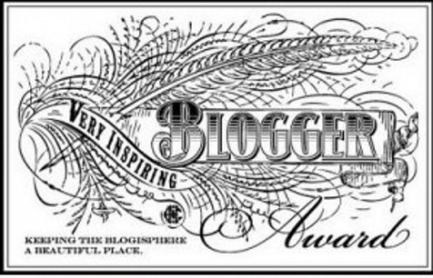 So glad you had a great family break and am very honored to be listed among these other super blogs for your awards. There are several blogs I don’t know, so I look forward to checking them out! Joanna…I am glad also (that France is a frequent visitor)…and I love how you describe my blog!!!! That it makes you wish you were a child again…that is quite poetic and such a lovely comment. 🙂 Connecting with this kidlit community has definitely made the world smaller…I can reach out and touch people of like-minds in France, Australia, Spain, Singapore, Manila, New Zealand, Canada, Portugal, India and more! Thanks so much for the award, very kind of you. Will have to check out the other blogs I don’t recognize. Have a great summer! You are so welcome, Darshana…you have a wonderful blog…it is a fantastic resource! Vivian – You caught me while I was away on vacation – a rare unplugged vacation at that. 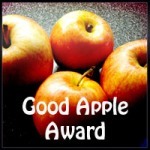 Thanks much for the award and for listing my blog! I’m looking forward to checking out the other blogs you’ve listed and I’m ever so grateful for your ongoing support and encouragement! Hope you had a wonderful time on your vacation!